Cancer is a generic term for a group of diseases and can affect any body organ. Cancer arises from the interaction between genetic and environmental factors. Cancer usually forms as a solid tumour (called a malignant tumour) which has the ability to invade other tissues and spread throughout the body (this is called metastasis). Symptoms vary according to the system affected ie. cough, hoarseness, any skin changes or lumps, abdominal pain or unexplained weight loss, difficulty swallowing, unusual bleeding (for example in urine, stool, vaginal) or feeling weak and tired. These symptoms are not always cancer, but if they persist for longer than two weeks, it is important to see your doctor. 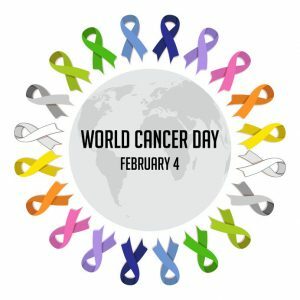 According to the CDC, being overweight or obese is associated with at least 13 different types of cancers while a balanced Mediterranean diet has been proven to significantly reduce risk for cancer (Schwingshackl &Hoffmann, 2014). Quit smoking and use of all forms of tobacco! Tobacco smoke contains over 70 known carcinogenic substances. Make your home smoke-free and support smoke-free public spaces and workplaces Passive smoke causes cancer in non-smokers. Manage your weight and maintain a healthy Body Mass Index (BMI) Obesity has been linked with increased incidence of cancers. Limit intake of alcohol Alcohol has been linked with increased incidence of several types of cancers. Take measures to reduce radon exposure in your home. Ensure your children take part in vaccination programs Get vaccinated against Hepatitis B, Human Papilloma Virus (HPV) etc. Protect yourself from environmental pollutants at work and home. Recent advances in chemotherapy (immunotherapy, molecular, targeted or precision therapy), in surgery (minimal invasion and video-assisted procedures) and in diagnosing and staging (CT scan, PET scan, endoscopic ultrasound) have led to early diagnosis, improved prognosis and quality of life. For more information on Cancer, visit the KEELPNO, WHO, CDC and National Institute of Cancer websites. Center for Disease Control and Prevention. (2017). Cancer and Obesity. International Agency for Research on Cancer, & European Commission. (n.d.). European Code Against Cancer – International Agency for Research on Cancer (IARC). European Commission: 12 ways to reduce your cancer risk. National Cancer Institute. (2011). Secondhand Smoke and Cancer. National Cancer Institute. (2015). Treatment for Cancer – National Cancer Institute. WHO | Cancer. (2017). WHO. For the Greek version of this article click here.